One of the most sought out Gearbox racquets of all time is finally back in stock at an unreal price and it is only available at Racquetworld.com. The GB250 series is what started it all for Gearbox in helping make them the powerhouse racquet manufacturer they are today. When the Feather sold for $200 it was hard to keep in stock and now that it is below $130 it will be even harder. Pick up 1, 2 or 3 before it’s too late as this will be one of the best deals we have available in this price range. Improved ball placement. Balance is fantastic. Featherweight title is very true. Great grip, great weight and great handle. My accuracy and power improved. I purchased my first GB250-165 Quad back in November and then turned around an ordered another to match. I have used Head racquets for years and wished I had switched earlier. Not only did I gain a ton of control, I did not noticed any diminished power. Just ask my playing companions. I can actually hit the ball harder knowing I can control it. The biggest improvement was cutting off a lob. I can now step-up and feel like I can hammer it while still hitting a good shot. LOVE IT!!! I purchased this GB Feather 165 as a spare to my first one. This racquet has tremendous power with great feel. The racquet is very stable and the frame feels indestructible. I have played with a lot of different top end racquets and this one fits my game the best. This racquet compares to any of the others especially for a great price. My only change was I added a Head Tacki-Mac grip. I bought this racquet again after having it in the past, I was using the gearbox 165g green, but this is my favorite racquet of all time, it felt better I dont know why, I get more power with less effort. Was skeptical about buying this Racquet for a month! Finally made the decision to buy it after reading several reviews! Got it this past Friday October 26, 2018! And played racquetball with it! This Racquet is phenomenal superb power and control! It has a wicked feel when you swing and hit the ball! Love it so versatile with any shot! I have played racquetball for years and hit with many racquets and using gearbox top of the line racquets for the last five years! This Racquet is a superior performer and will only bring your game to higher level of performance! The only regret I have is waiting for a month and finally purchasing this great Racquet by Gearbox! 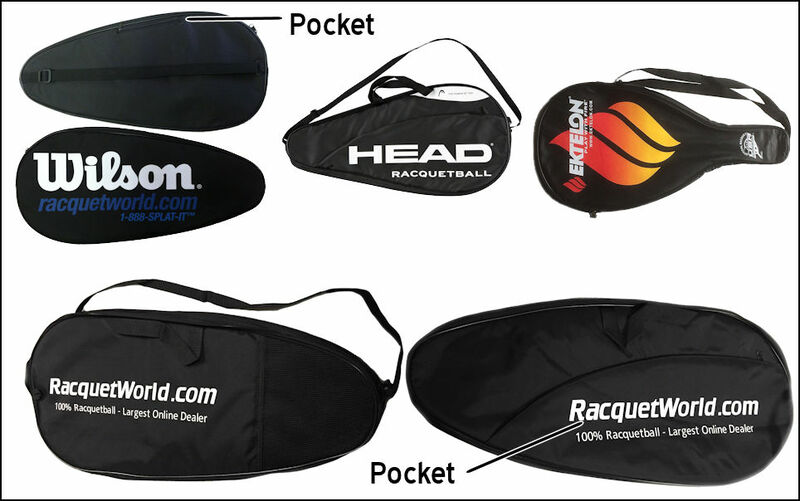 Thank you racquetball world for making this Racquet available! You guys are awesome! Was always skeptical of Gearbox ... But when I saw the emails this racquet came back to Racquetworld its looks immediately grabbed my attention. The all white is so sleek and really stands out. I was intrigued .. so I demo'd this racquet. Needless to say, the very FIRST time I hit with it on the court, I was easily hitting the cleanest I've ever hittin in my life, with such power and great control and maneuverability. I was so shocked and amazed, I ordered one that very same night. Unbelievable racquet at such a killer price. This racquet Will take your game to the next level if you feel you are in a slump. Open your mind, try something different, and demo this racquet. You will soon find you ordering one for yourself. I love this racquet. Getting up in age I have had to go to a lighter racquet. My faves have become the E-Force products, however! This line of Gearbox racquet is the best of the best, the balance and power is not going to be easy beaten. A great product. Single tube frame construction transitions into a solid head providing extreme power. Designed to provide the least amount of air resistance.